Residents and visitors alike appreciate the beautiful hanging baskets that are part of the Beautification Program sponsored by the Chamber of Commerce. The Carlisle Chamber of Commerce Beautification Committee is asking for your help. If you like the hanging planters that you have seen along First Street and downtown during the summer, donations are needed to continue this project. It takes approximately $1,600 each year to cover the cost of the plants, dirt, coco liners, and fertilizer. The City of Carlisle furnishes the pickup truck and gas that is used. If you don’t have the ability to help out financially but have some time to give, we are also looking for volunteers to assist with watering. 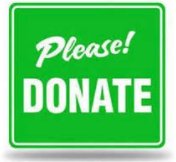 To donate dollars to help cover the cost of the plants and supplies, or to volunteer to work with and water the plants.